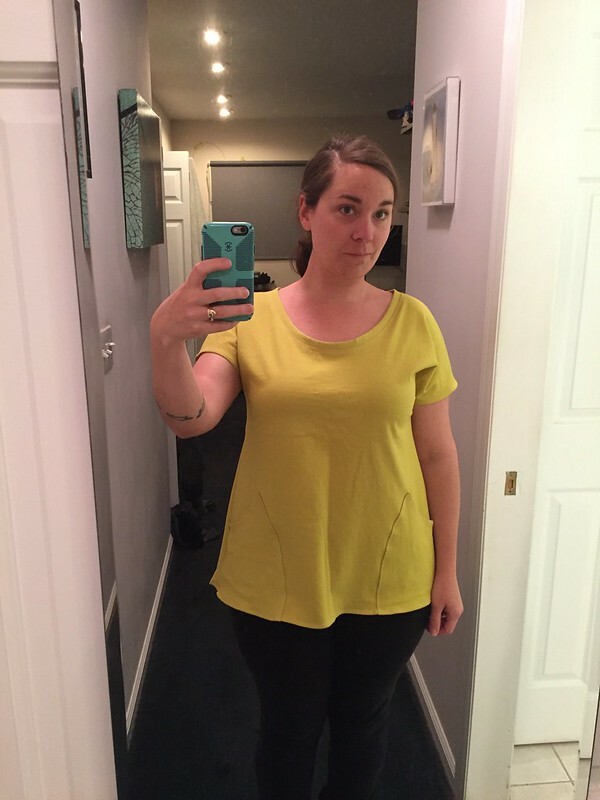 Two Lemon Drop Tunics for me! First from Alison Glass handcrafted jersey, second from Heather Ross Briar Rose jersey. 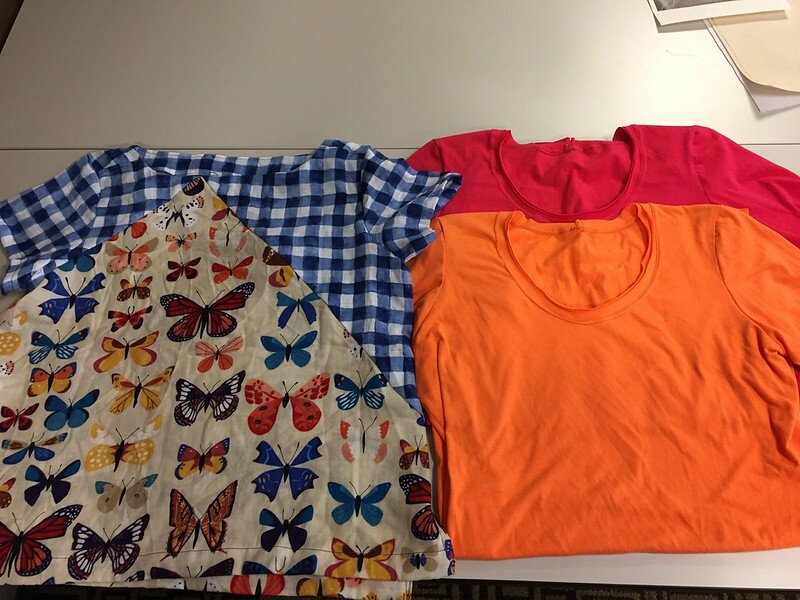 At the November CJMQG retreat, I made two short dresses from the Alison Glass Knit Essentials pattern, and one Blueprints for Sewing Saltbox Tee. The knit essentials is in some lightweight organic cotton jersey from fabric.com and a cotton spandex jersey from the Jo-Ann clearance section. The saltbox is in double gauzes from Sommer by Sarah Jane and Hit Parade by Lizzy House. Better look at the Saltbox. Ten for me, one for kid. Not too shabby! 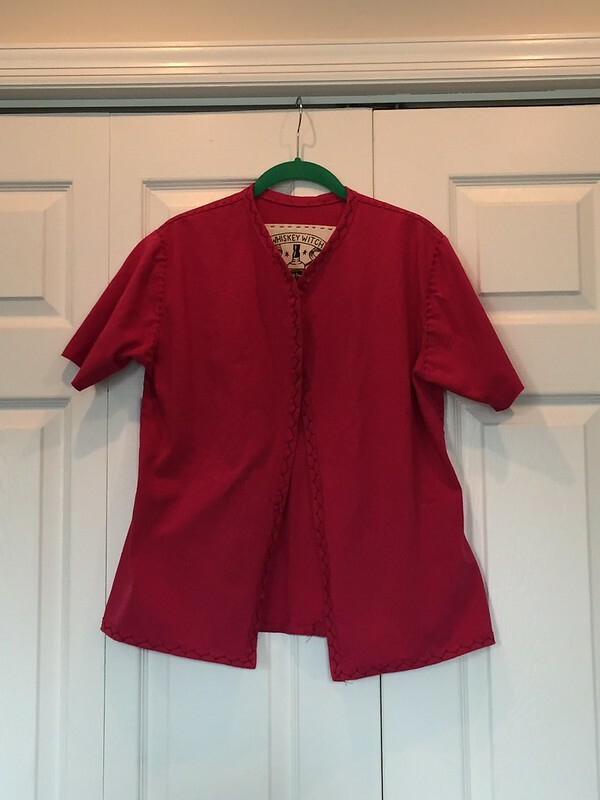 A short sleeve Alabama Chanin cardigan for my mom, in the Peony color from Alison Glass Knits. 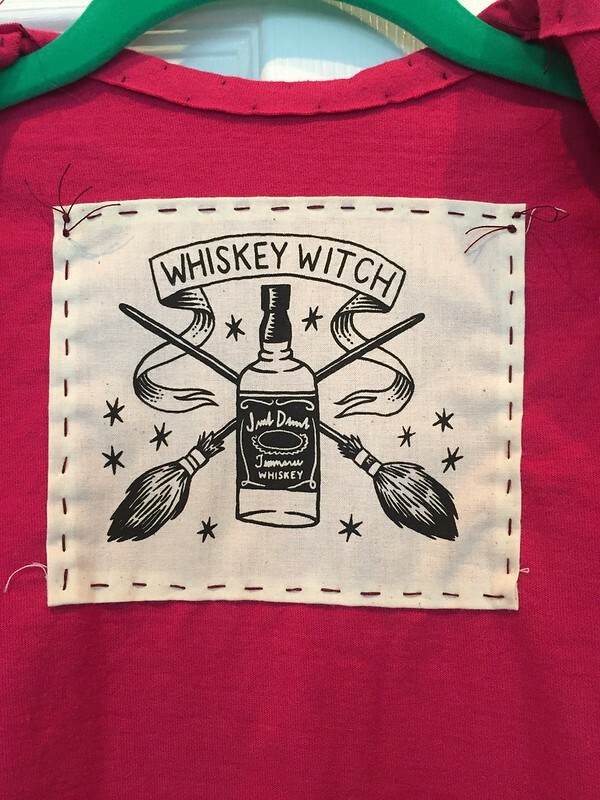 Patch from CatCoven on etsy. 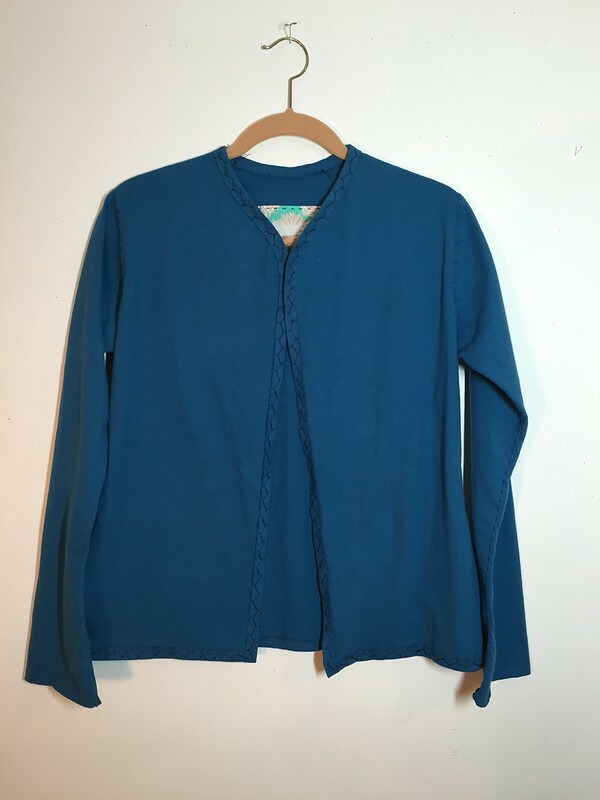 A long sleeve Alabama Chanin cardigan for my sister-in-law, in the Indigo color from Alison Glass Knits. Patch cut from a piece of Cotton + Steel fabric. 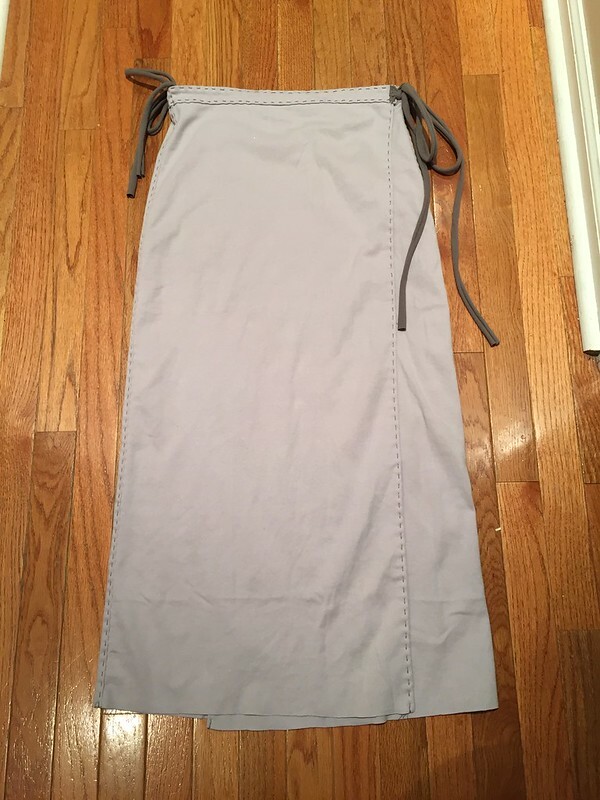 Maxi-length Alabama Chanin wrap skirt for my cousin's oldest daughter. 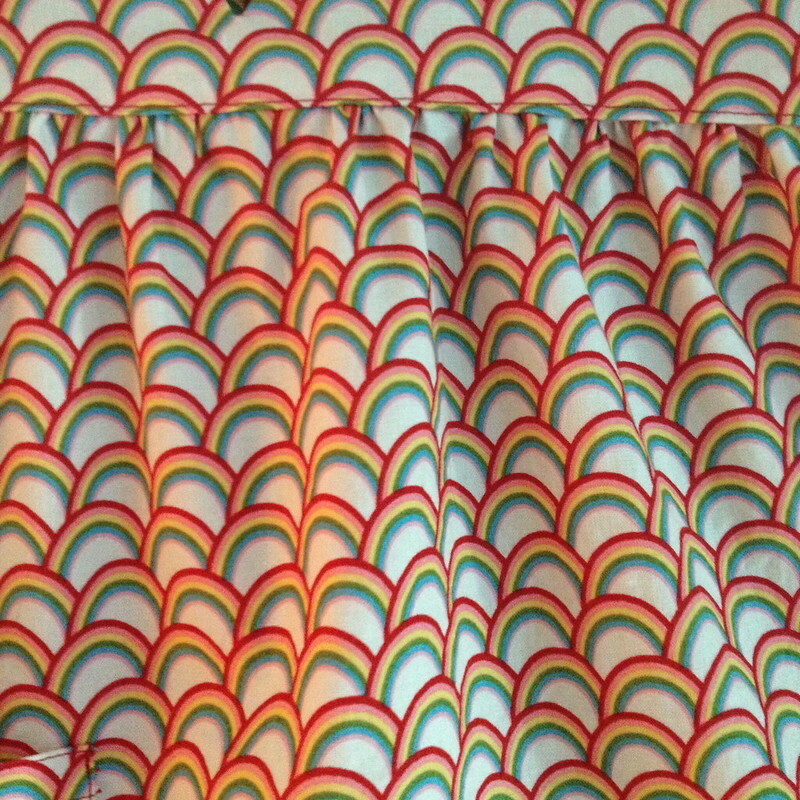 The fabric is a slightly sparkly solid from the Doodles line at Jo-Ann. It's so good that I enjoy all this hand sewing. These pushed my garment count for the year up to nineteen. 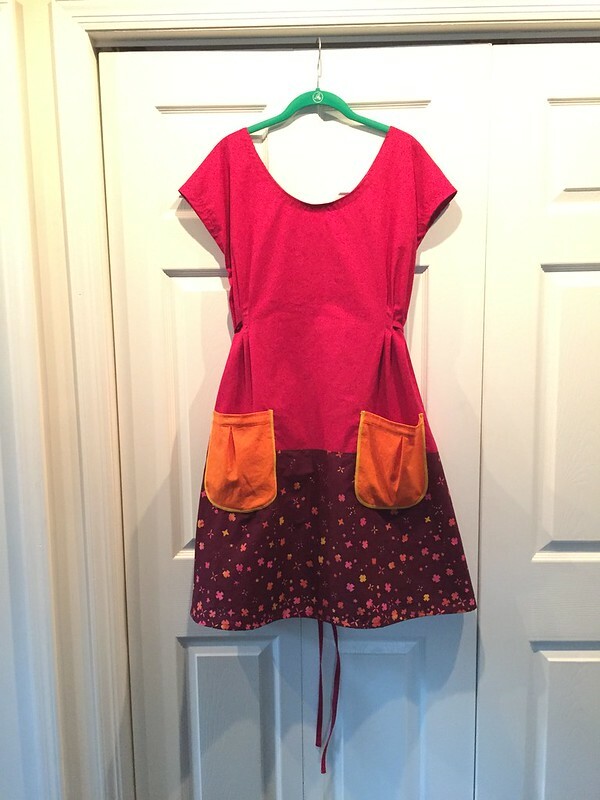 There was a customized garment posted on the AC Journal, an A-Line dress with sleeves added ("just trace the armhole"). 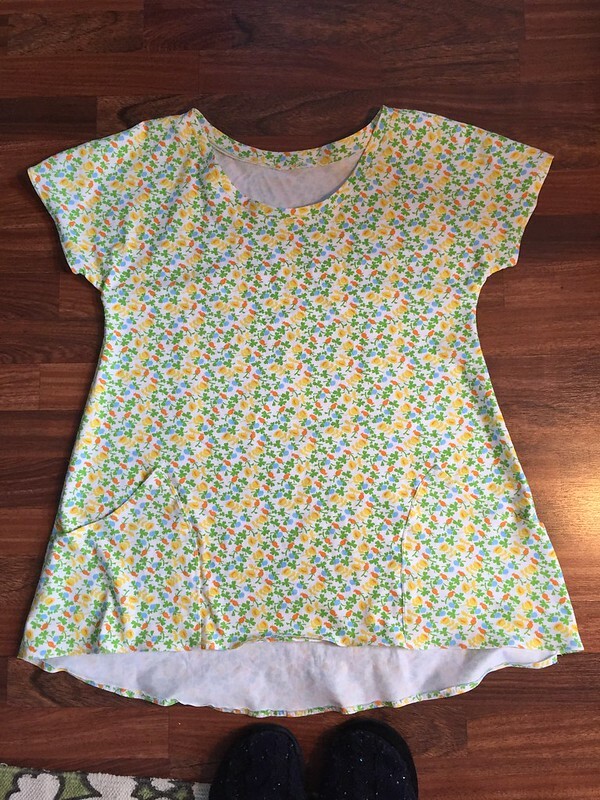 But I'm lazy, and the tshirt is cut on the fold instead of having a seam down the front, so I started with that pattern and used the A-Line tunic as a guide to add length and width. Fabric is the ghost print from Lizzy House Hit Parade Knits by Andover. 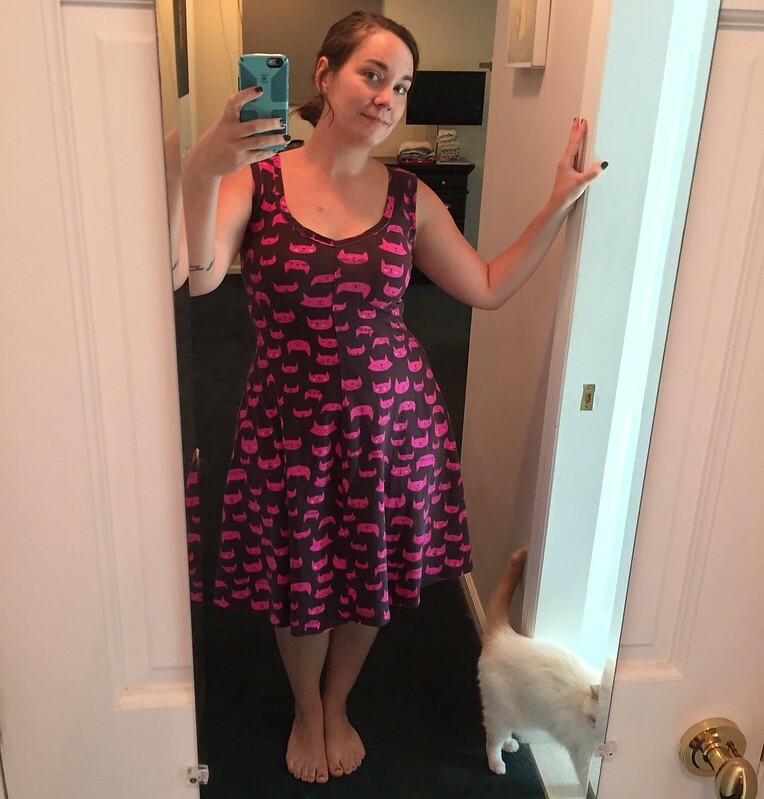 This was my sixteenth garment in 2015, and the last one I made for myself before the holiday makefest. This was a bathrobe I found on the clearance rack in Marshalls. It was a marled white color, and the belt was missing. But it looked like it could be a perfect length cardigan with pockets, so I had to get it. 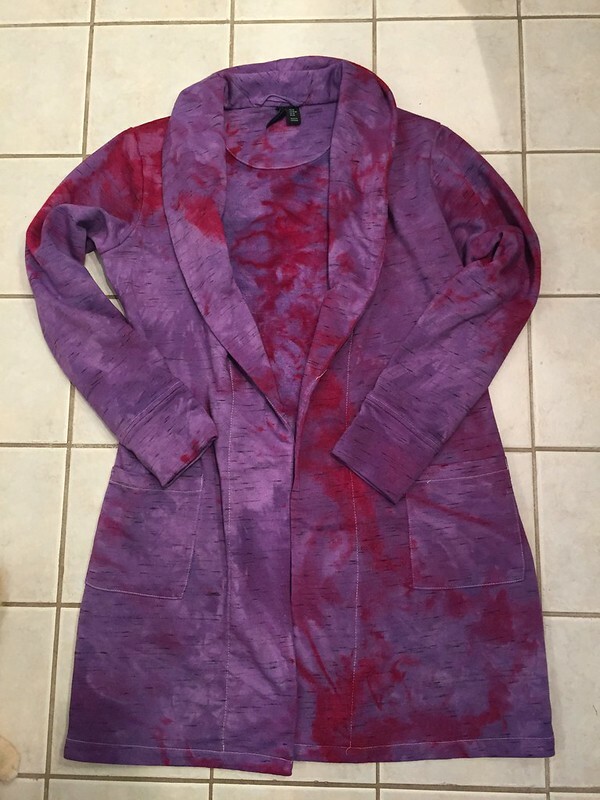 I removed the belt loops and dyed it, and now I wear it like it's not a bathrobe. 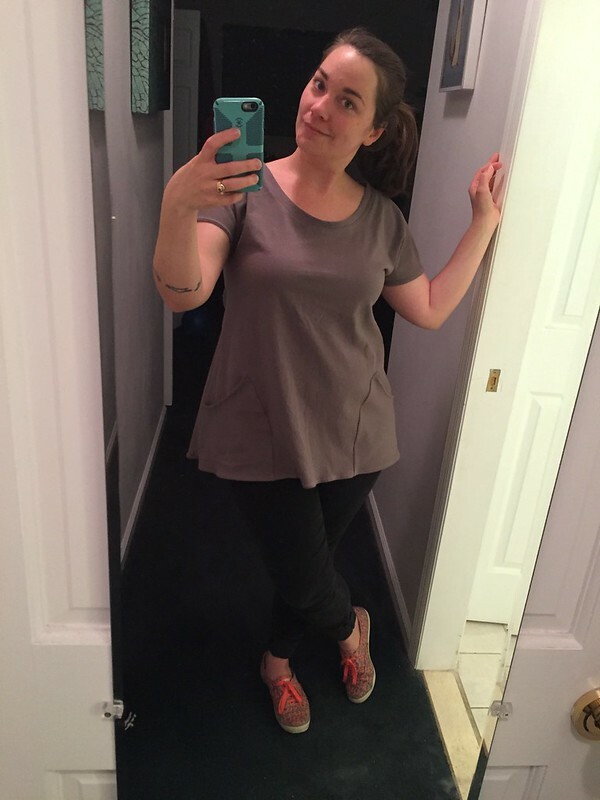 There are a few kinds of clothes I can't get enough of. One is semi-structured jackets made from knit fabrics. This one was on the clearance rack at Anthropologie over the summer. It was originally white with wide horizontal pale blue stripes. I dyed it once then in a forest green dye, but it wasn't really the green I wanted. I dyed it again in a very strong grass green bath and got it closer to what I was looking for. 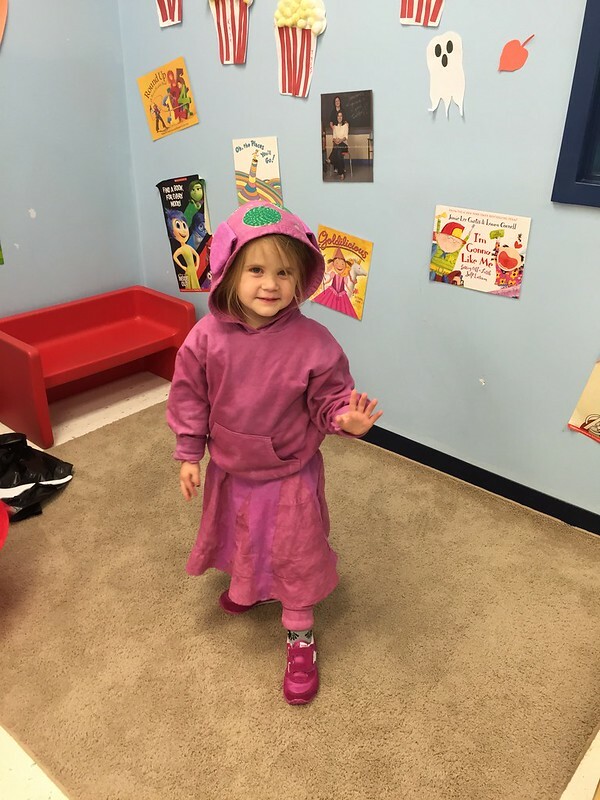 Alice got really into watching Octonauts in the fall, and learned about the vampire squid, and asked to be one for Halloween. Cool, OK. What do I do? 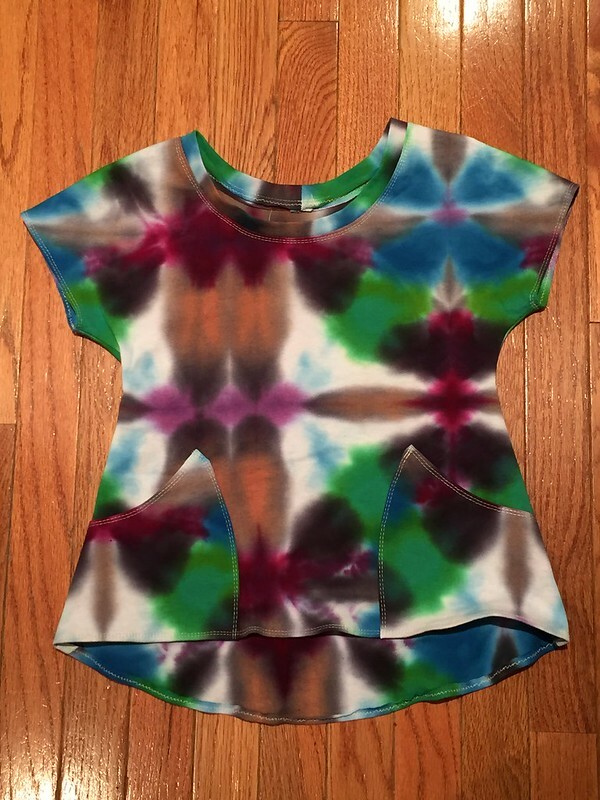 I ordered a dyeable hoodie, skirt, and leggings from Dharma Trading. Then I dyed it all plus some scrap fabric in maroon. I didn't really make it dark enough, but she loves pink and was fine with it. The vampire squid has a membrane that stretches between its tentacles, forming a sort of skirt. Underneath it are a series of spikes. The squid turns itself inside out to display the spikes when it gets scared. I sewed and stuffed a whole lot of little spikes, and stitched them on the underside of the skirt in rows. 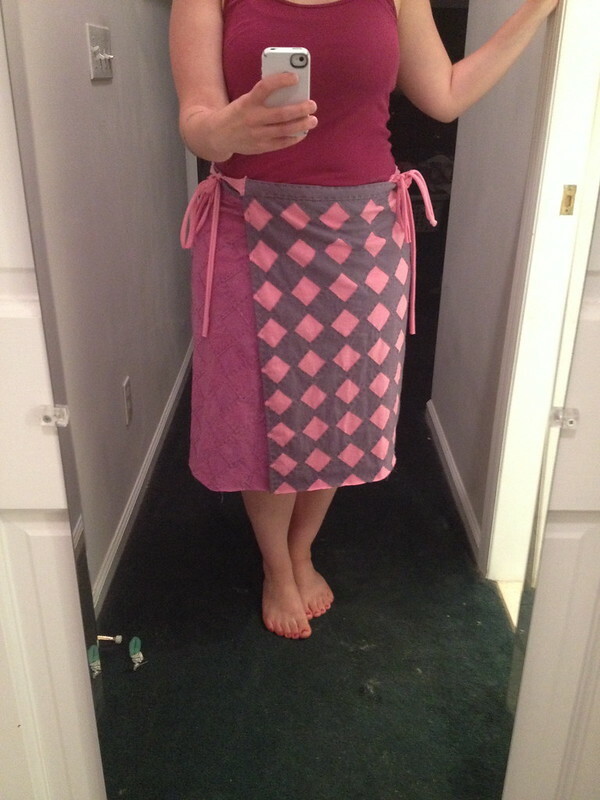 Then I cut tentacle shapes from the scrap fabric and sewed that to the outside of the skirt. If I had spent a little more time on it, I might have added a drawstring to the hem of the skirt to flip it all up over her head at once. I cut pieces from the scraps to make those little flappy fins on the head. Then I cut some circles from green scraps, and sewed them down with glow in the dark thread and a little glow in the dark fabric paint, because vampire squid live in the midnight zone and have glowing spots on their heads. 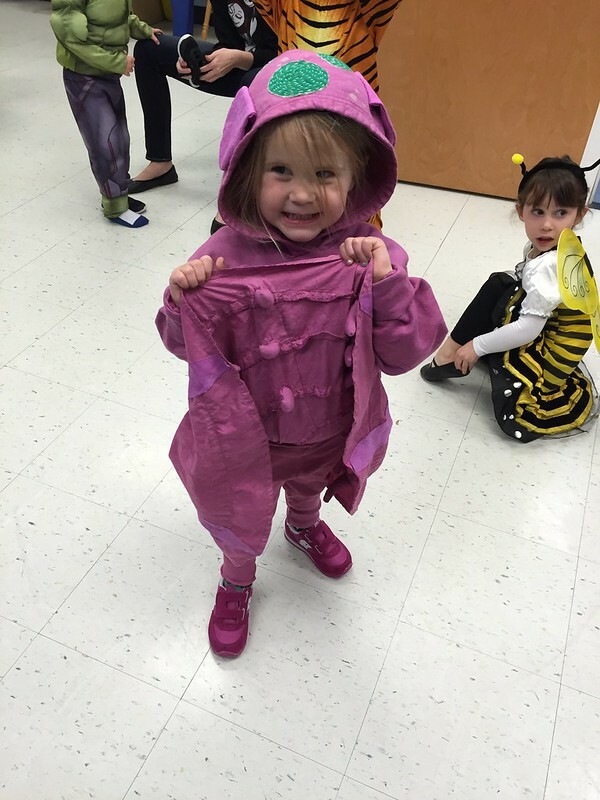 Hers was, I believe, the only homemade costume in her whole preschool class, but she didn't seem to notice or mind. I don't use Pinterest and didn't know the Dottie Angel frock was a THING, but I saw it posted on Instagram and was like.. This is exactly the kind of decorative trash bag dress I need in my life. So I obsessed over it a little bit. Prior to seeing the pattern I had bought a bunch of Alison Glass Handmade fabric from my local quilt shop, and after I saw the pattern I knew I had to use it. The magenta and orange are Kona solids, and I made the yellow bias tape from some of my dyed fabric. 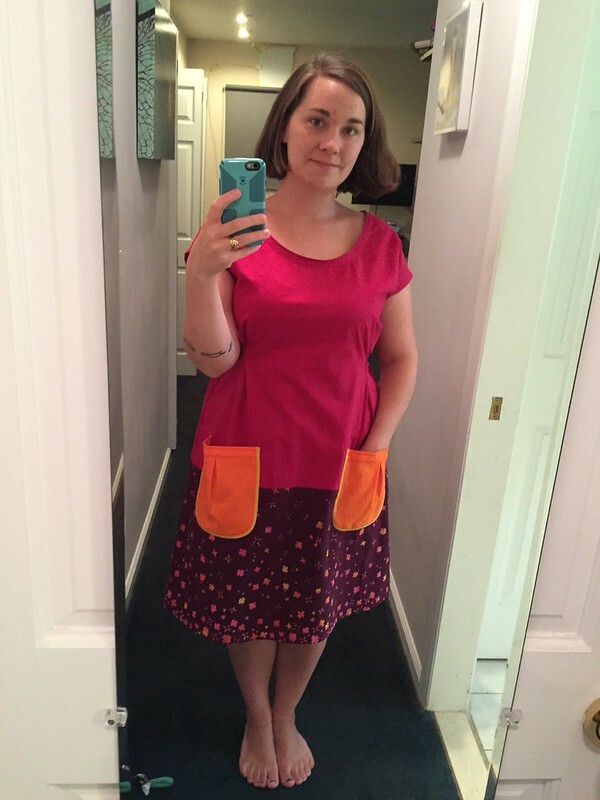 I read some pattern reviews from more experienced sewists who had some helpful things to say. I'm glad - I dropped the darts two inches and took a few inches off the bottom edge of the top panel to shorten the dress without losing the Handmade print of the bottom panel. The instructions say to finish most of the seams with bias tape, which I did not do but for the neck and arms. 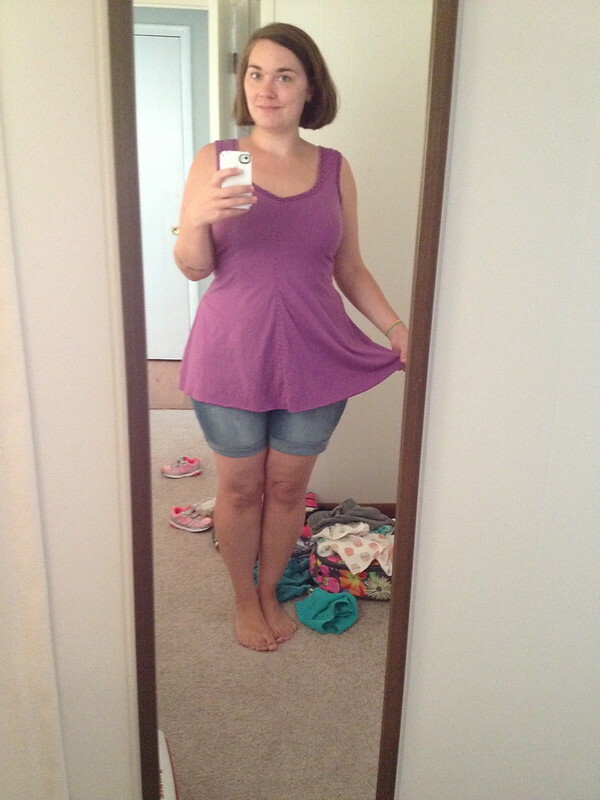 I didn't have the right size for the neckline so it's a bit wide. 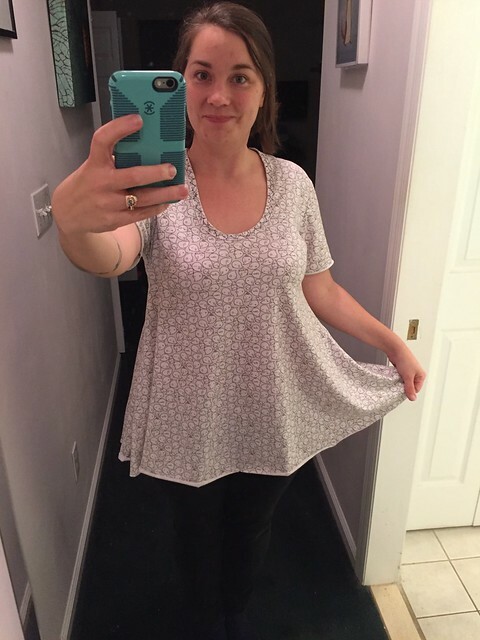 The one thing that I really messed up was the French seams where the armholes meet, but because it's interior, no one can tell when I'm wearing it! 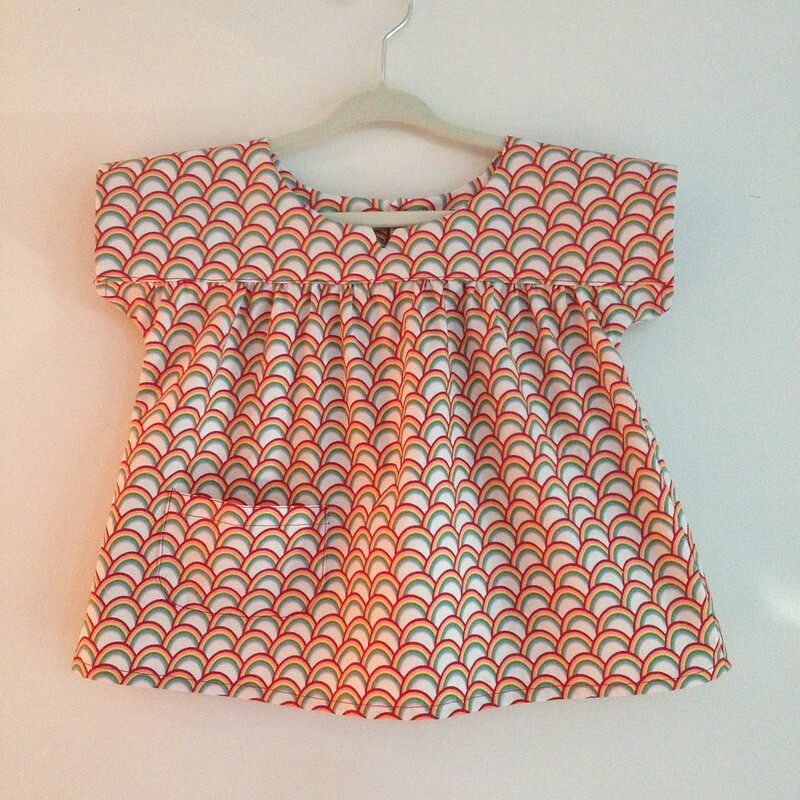 Oliver + S Ice Cream top from a Riley Blake print. I added a dinky pocket. Taking the MODIFY IT! MAKE IT YOURS! 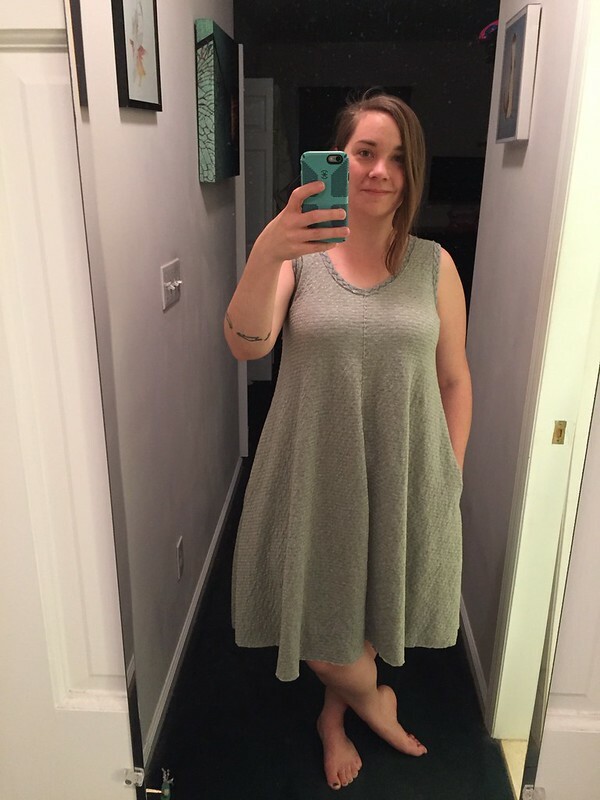 message of Alabama Studio Sewing Patterns to heart, I thought about what I liked best about the extant Alabama Chanin dress patterns and how I could put them together to make more garments I really love. 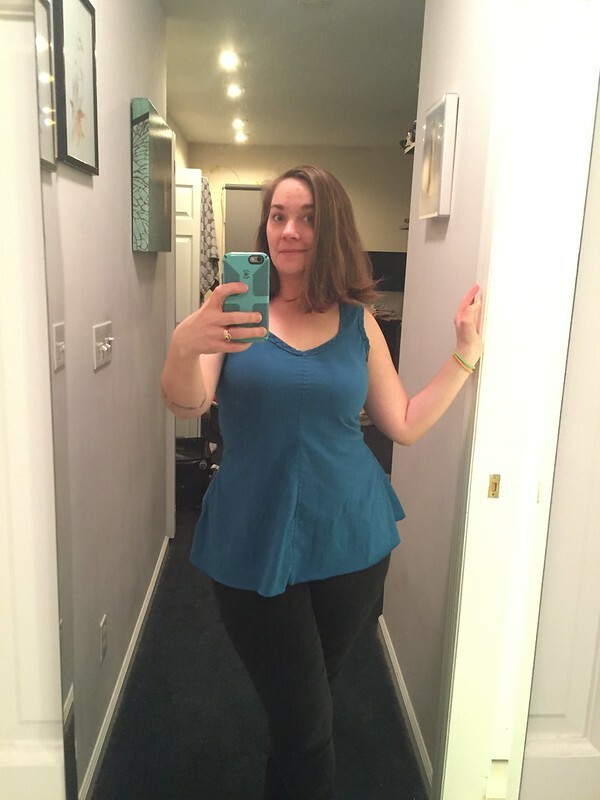 What I ended up doing was combining the fitted dress and a-line dress patterns to create a fit-and-flare silhouette similar to the camisole dress. It has the coverage/shape of the fitted dress from the shoulders to the waist and reaches out to a wide twirly hemline at the knee. 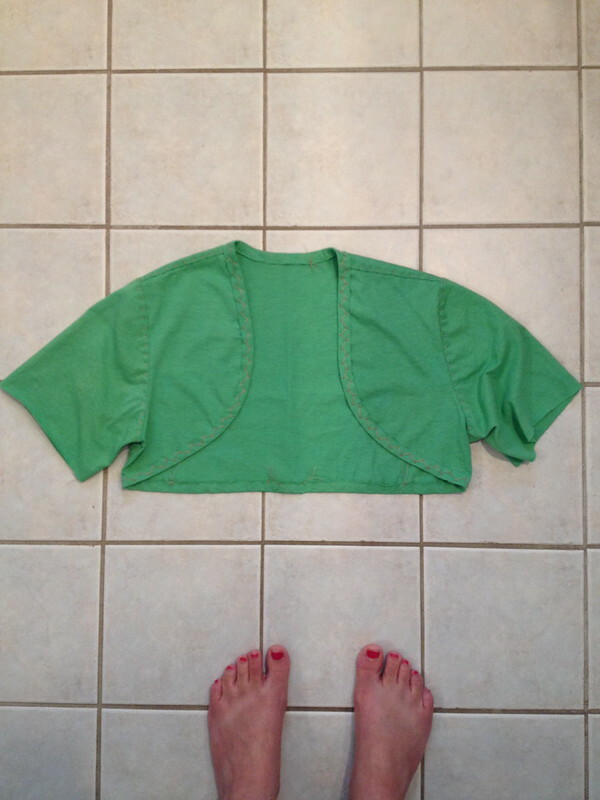 Lots of room for seam pockets. I made three garments with it so far. 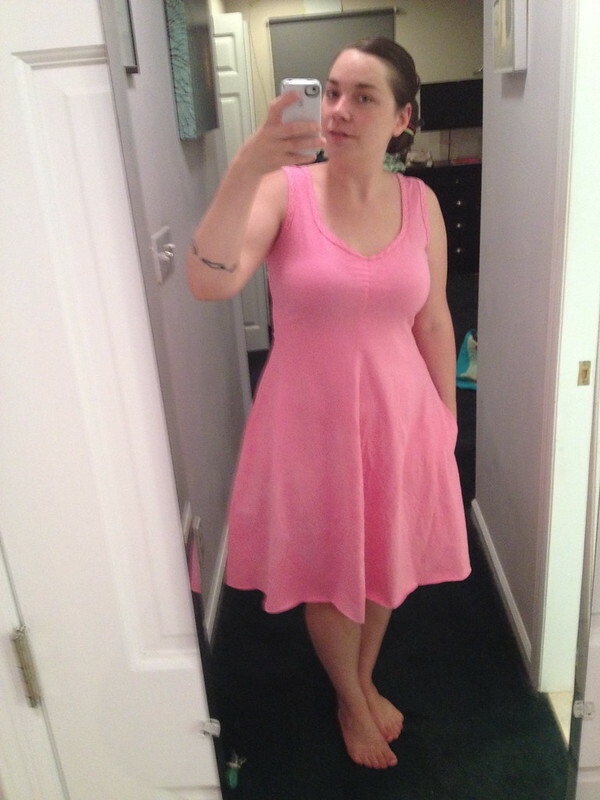 In June, hand dyed pink yardage from Dharma, with POCKETS!!! And most recently - just finished on the 15th - from the Lizzy House Hit Parade knits for Andover. This fabric is 95/5% cotton/spandex, and on the thin side, so it's a bit different from most of what I've used before. But I can't resist cats. 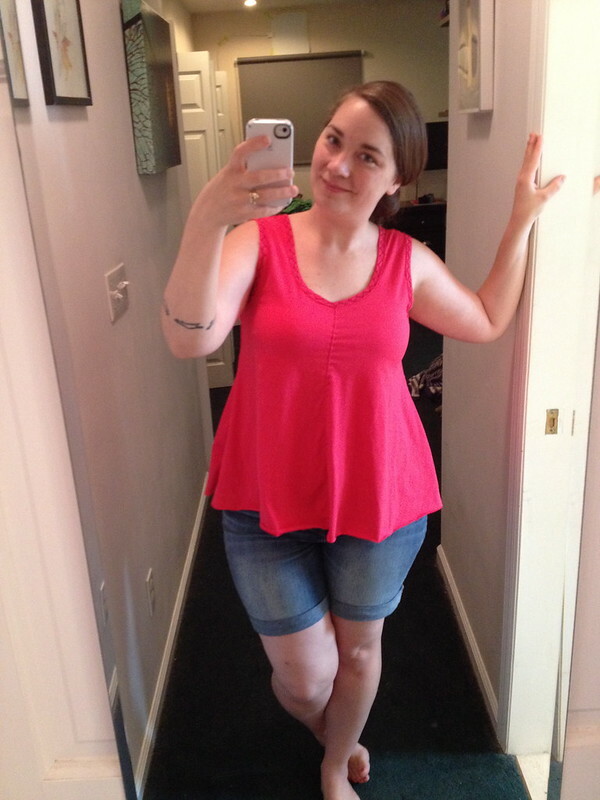 More from Alabama Studio Sewing Patterns.. an A-line top! 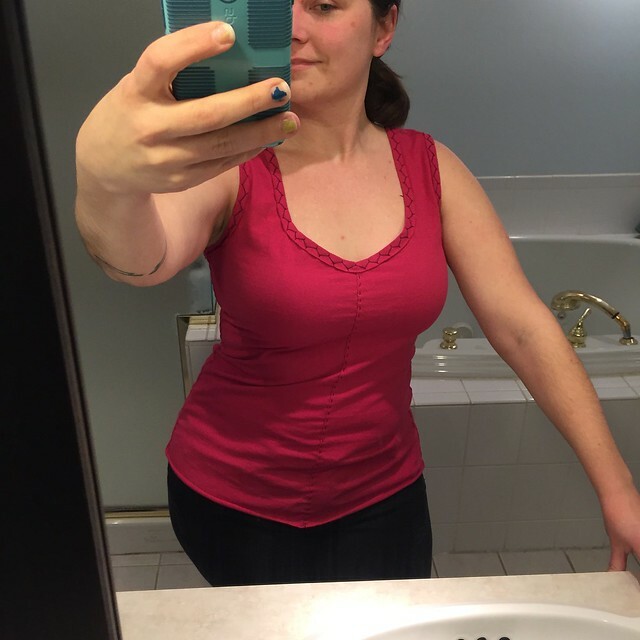 I liked the dress, but I prefer lower front and back necklines in my tank tops, so I copied the shape from the fitted dress pattern. Since I'm posting this several months after I made it (in May, that was a long time ago! 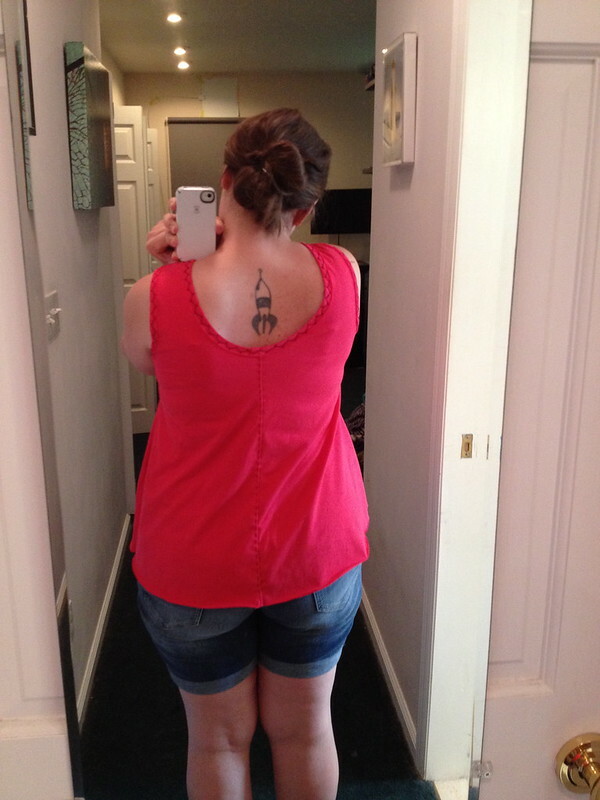 ), I can tell you that I wore it with shorts all summer long, because it was so nice and breezy. The skirts in the first Alabama Chanin books are all elastic waist, and the patterns appear to put them at the natural waist.. 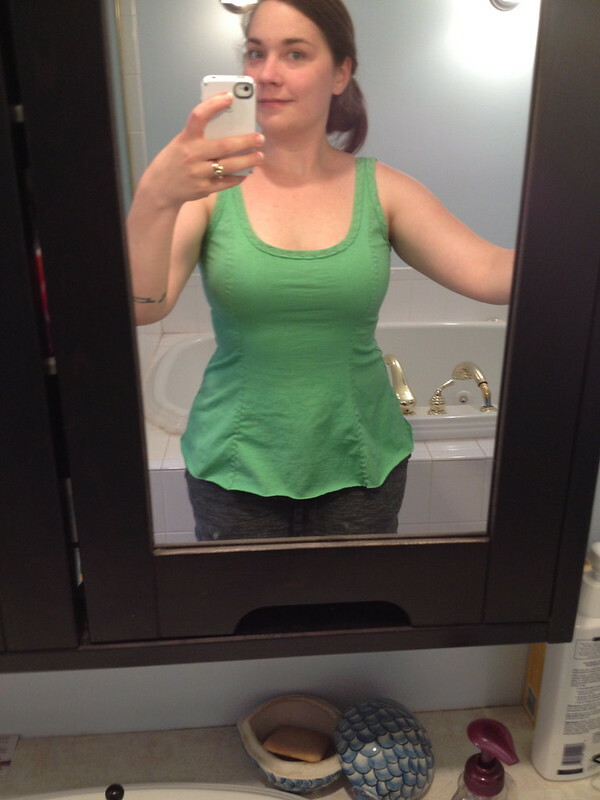 I have an aversion to most elastic waistbands and prefer to wear bottom garments more toward my hips. Because of this I've never bothered to try an Alabama Chanin skirt pattern. Then the new book came out, with a wrap skirt! Hooray! I intended to make all three main panels with the grey-purple/pink colorway, but once again I was foiled! 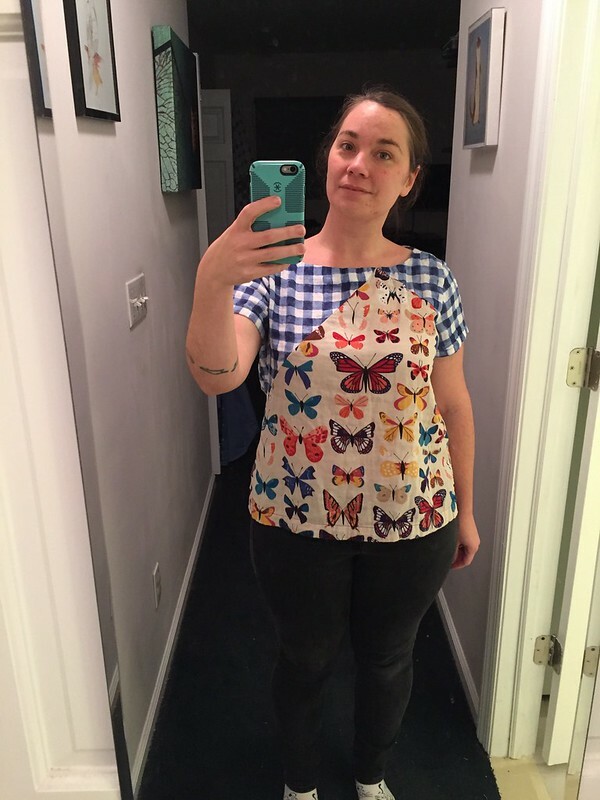 I had a yard and a half of each of the three colors, but I couldn't fit all the XL pattern pieces on any one cut. Instead of dyeing more, I just used what I had. 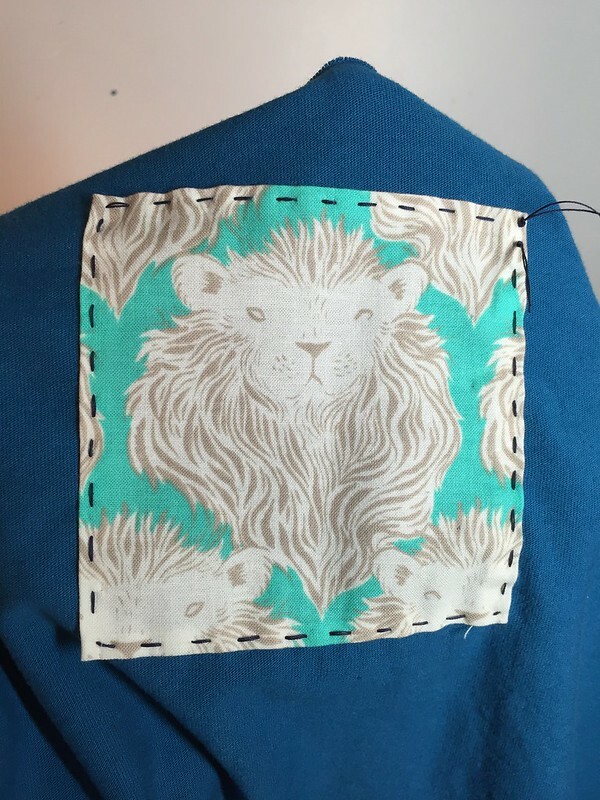 Rather than using a stencil for this reverse applique, I just used my 6x24" acrylic ruler to trace lines on the back of the inner layer. I stitched over the drawn lines and cut away to make the diamond check pattern. All three main panels are stitched this way; the one panel is two layers of the same color so it's harder to make out. I ran into a few issues. 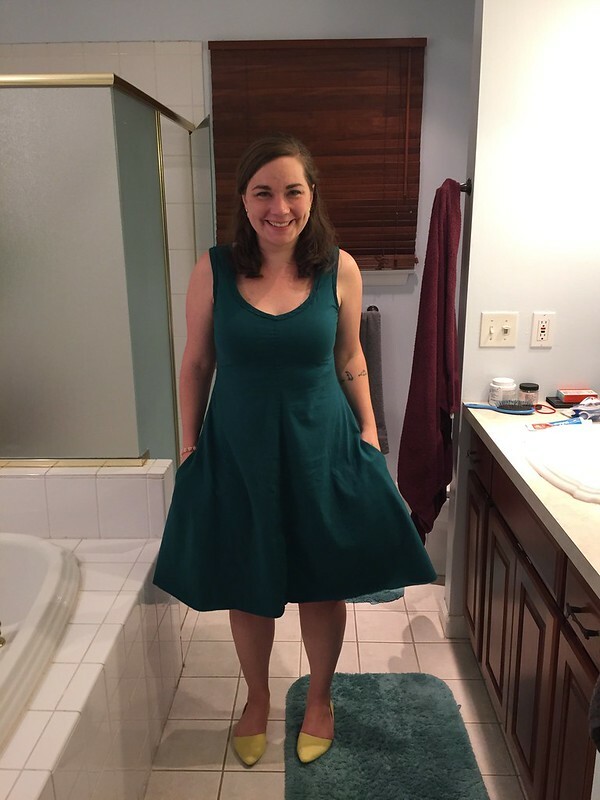 The first thing is sort of specific to this pattern: the construction of this skirt involves a few steps that are new to the Chanin method canon, and they really would have benefited from some photos or diagrams. At this point I've made over a dozen garments from AC patterns, so I'm not a beginner, but I needed some reassurance about the placement of the ties and stuff like that. Second, and I'm sure I whined about this before: give us accurate fabric yardage estimates for every size! The book said a yard per layer, so I thought maybe a yard and a half would do.. nope. Third.. I should have made an XXL, whoops. I like to buy bulk yardage of cotton jersey from Dharma Trading and dye it myself for my Alabama Chanin projects. 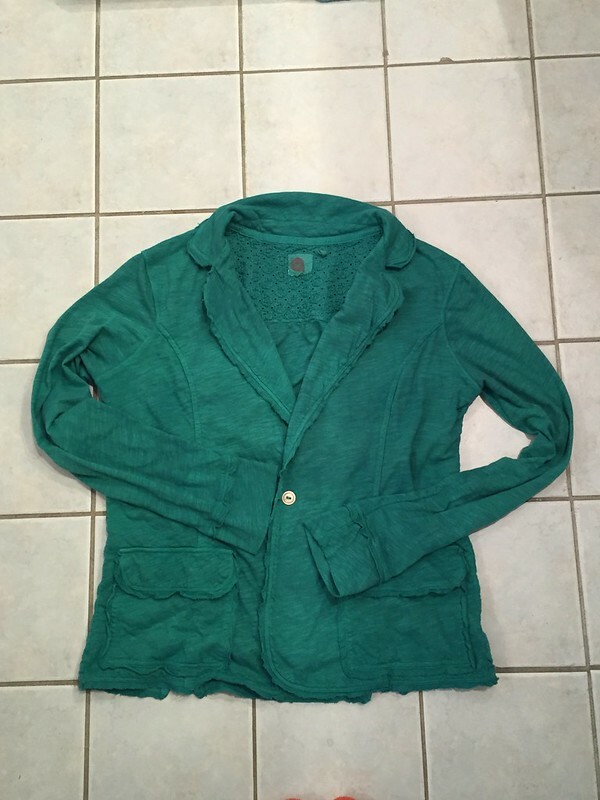 I dyed a bunch of it green this spring and made three garments. 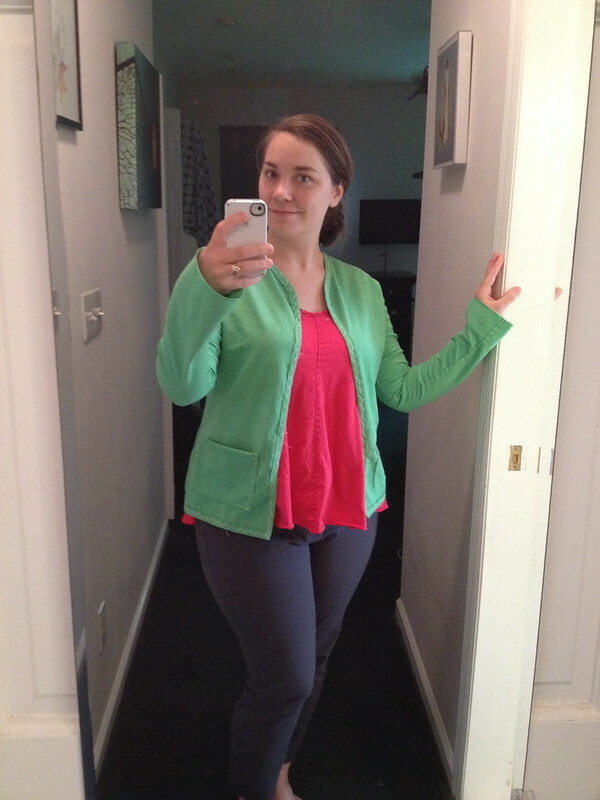 And finally, a cardigan with pockets.